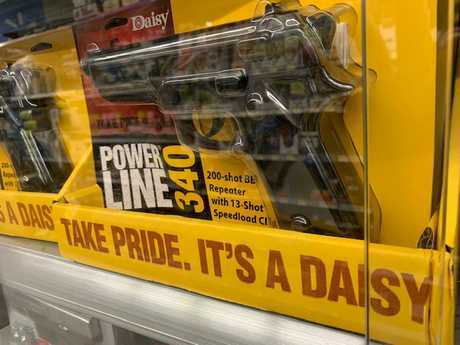 America's gun culture is well entrenched from Walmart and beyond. AT an indoor shooting range in California, the noise and smell of gunpowder is overwhelming. Almost intoxicating. A group of Japanese tourists join red-blooded Americans testing their pistol prowess. 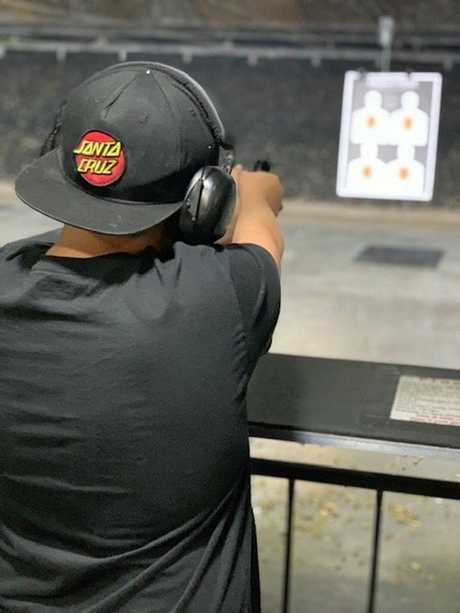 For my teenage son, holding and firing a gun is on his bucket list of things to do during our recent trip to the United States. The gun experience starts in Redding, California during a trip to a Walmart store. The department store features everything from discount cosmetics to men's and women's fashion. It's also one of the best places for 'people watching' to gain an insight into American food and consumption-driven culture. But it's the outdoor lifestyle section - including the row of guns, knives and archery equipment - that is most fascinating to my son, who loves following adventurists and extreme fishermen on social media. Replica handguns, soft shooters, slingshots and compound bows, along with targets, are lined up with real guns for sale. There's also a Cobra slingshot with sight system, extended wrist brace, contoured soft touch grip, magnum power bands and full shooting guide. Some of the knives on display are big enough to put Crocodile Dundee in his place. Among the items on sale in Walmart. 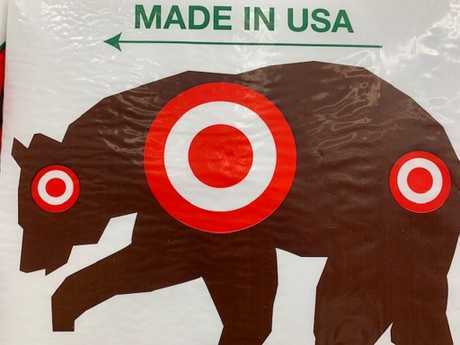 A silhouette of a brown bear with three targets on it proudly bares the 'made in the USA' labelling above it. At another store, focusing entirely on outdoor activities, there are hundreds of guns lined up along with prominent signage to 6772 guns for sale online. The guns range from a small pink model aimed at young girls to semi-automatic weapons and pistols. 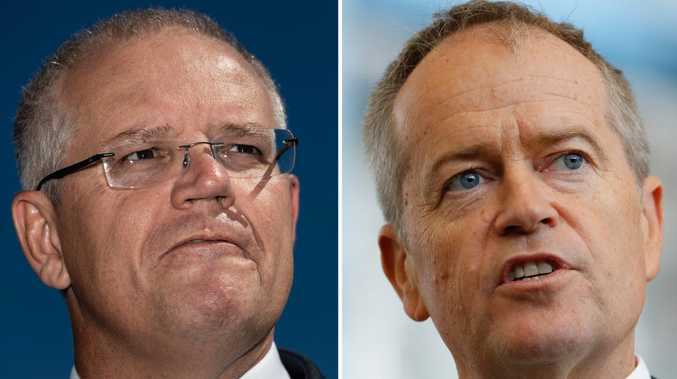 Later, during our time with cousins in California, the topics of Donald Trump and guns come up as we discuss everything from Australian politics to the US health system (or lack of it). 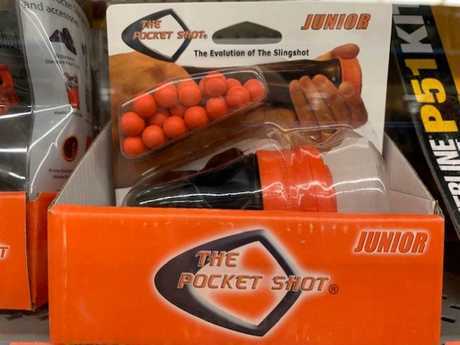 One of the targets on sale in Walmart. Discussing guns, my cousin, who could be hardly described as a gun-toting Republican, admits he owns two small guns - a .38 calibre and a Glock, as well a semi-automatic civilian rifle. 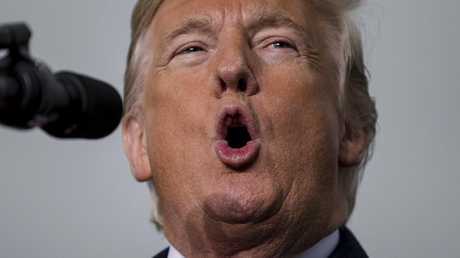 Looking at the mild-manner Democrat, he would be the last person I could imagine owning or firing a gun. His motivation for owning them is simple: the protection of his family in a 'worst case scenario'. His desire to actually use a gun is zero. After telling him of my son's desire to shoot a gun, he offers to take us to the local indoor shooting range - but only after taking both of us through a sombre gun safety lesson. Taking aim at an indoor shooting range in California. At the indoor range, we book a lane and grab some paper targets - all for about $45. Among the most unusual of the targets is a cartoon character of North Korean leader Kim Jong-un. In the neighbouring lane, and other lanes, a depiction of a terrorist taking a family hostage, seems to be a popular target for shooting practice. As we take turns firing the .38 calibre gun for the first time, we are all surprised by how much kick such a small gun has. My initial shots fire well above where I am aiming and reinforce my belief that being armed with a gun is unlikely to be of any real great benefit to me or my family if I was confronted by a madman. I can see, however, how those more accustomed to shooting, and more comfortable around guns, would gain a sense of protection from having a gun. Shooting with the Glock, we gain greater confidence and even though the targets are set up in close proximity, we are more than pleased how close to the middle of the targets we got. 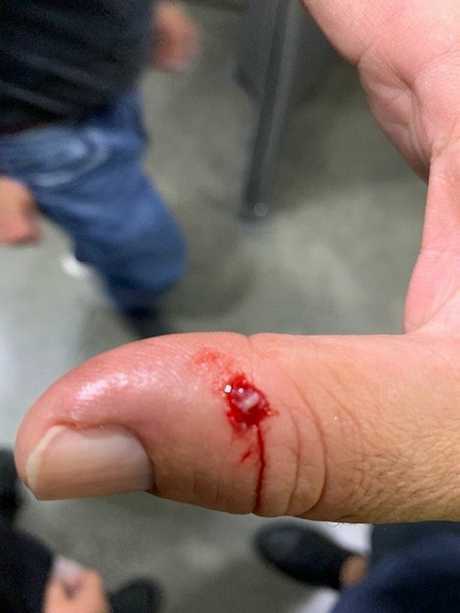 I quickly learnt, however, how things can go wrong after stupidly putting my thumb in the wrong position while holding the gun. A small flesh wound is opened up by the kickback of the gun, leaving me to discreetly deal with the blood. Even with ear protection on, the sounds of numerous guns firing at the same time is confronting at first. While there are signs everywhere warning of 'no rapid fire', just the single firing of guns in unison can create that effect. 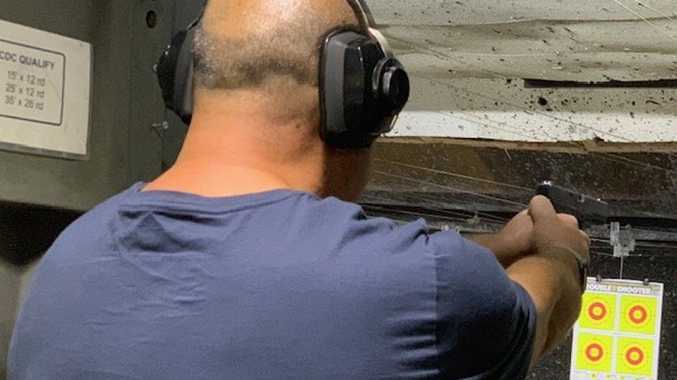 The initial thrill of shooting handguns leads to a deeper discussion after we have left the gun range about the realities of dealing with intruders, terrorists or mad men. While I could imagine taking up a gun to protect my family, the idea of actually shooting another human being, I would imagine, is a lot more difficult than firing at a target. While politicians, including US president Donald Trump, have suggested we would all be safer if we had armed protectors in places like schools and churches, I'm not convinced, especially after seeing more own performance behind the trigger. There are few priests, or teachers for that matter, who would be comfortable in taking up a gun in a hostage or siege situation. Shooting a moving target is a lot more difficult than a static piece of paper. My view remains that we are safer with fewer guns, not more, especially when you consider the rise in mental health related issues in countries like ours. The thought of a young child getting hold of a gun I owned, regardless of what steps people take to keep it locked up, creates greater terror to me than the thought of a rifle-wielding intruder.